We got married last Sunday at the Atholl Palace in Pitlochry and I can't praise Jack and Sandra enough. From turning up early to get some shots of us getting ready which turned into a laugh in the museum to the actual photos during the ceremony and up to the reception. 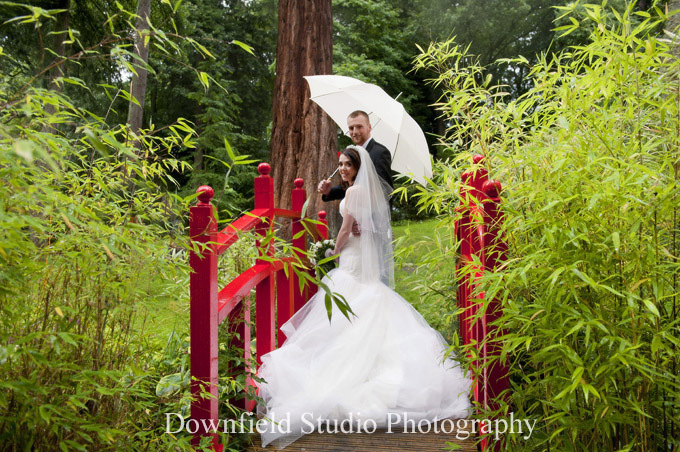 Rainy weather didn't stop them from getting us beautiful photos in the Japanese Garden, they provided me with beautiful pink wellies which just added to the fun of all the pictures and got pictures after my dress change for the reception. They're both so lovely which made it 100% easier for taking photos with them and didn't make them look stiff and boring. They were also amazing with our flower girl aged 2 and page boy aged 5 help kept them distracted enough to get the photos we needed. Can't thank them enough for everything. They helped make it the perfect day for us both. Atholl Palace Hotel & Lodges Pitlochry.